Old cars are full of surprises. When I pulled out the rear seat of the ’64 Chevy Corvair project car I bought in the mid '90s, I found a mini-bar from the '70s - complete with cheesy disco-era decanters and shot glasses. The bar was made of wood - which had been cut to fit the metal that had been hacksawed out of the Corvair to make room for it. The car felt a lot tighter when the structure that was supposed to have been there was welded back in place. Flash-forward to the ’72 Beetle I am helping my teenage protege fix up. It was running decently as purchased but a closer look at the engine revealed a few obvious little things that needed attention, including usual suspects such as extremely AARP fuel lines in need of immediate replacement and a very low-rent and poorly fitting aftermarket "chrome" air cleaner - the "chrome" apparently applied with a paintbrush. Such things are par for the course when dealing with a car pushing 50 that has probably had at least five and possibly a dozen different owners over its lifetime, many of those not shall we say mechanically gifted. One such may have been the owner before the last one - who was a teenaged girl; my protege bought the car from her father and we are pretty sure neither she nor he are responsible for what we found. 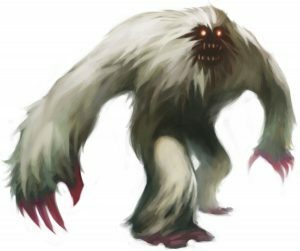 The thing we found had to have been caused by a Yeti angered by the sound of an air-cooled VW engine. 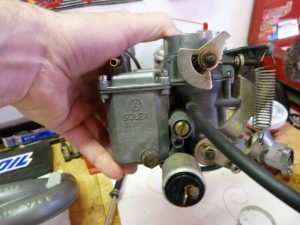 The first clue was the Solex 28 carburetor - which isn't the right Solex carburetor for a '72 Beetle. Which is supposed to have a Solex 34 carburetor. A friend had the correct Solex 34 (Pict 3) and, after a cleaning and rebuilding, my protege and I affixed it to the Beetle's engine. [caption id="attachment_59484" align="alignleft" width="300"] The Solex 28; note the offset adapter plate . . .[/caption]Whereupon the engine would not idle. Rev yes. As long you held it about about 1,500 RPM all was well. But if you let off the throttle, the engine would die. Weird. After all, the engine idled with the Solex 28. I figured - reasonably I thought - it had to be the Solex 34. 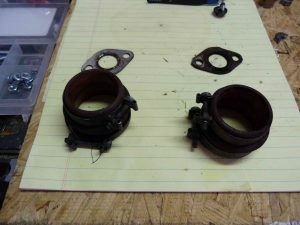 I rechecked all the obvious things - even to the extent of tearing the carb down again to make absolutely sure the pilot and main jets were not in any way occluded, that all passages were clear - and all screws (idle and air bleed) adjusted within specs. [caption id="attachment_59480" align="alignleft" width="300"] The correct Solex 34, without the adapter plate . .[/caption]They were. Then I checked the idle solenoid switch. But it clicked when current was applied and the internal plunger operated as it was supposed to. Running out of ideas, I grabbed a can of Gumout carb cleaner to check for vacuum leaks. 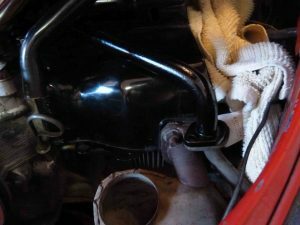 To find a vacuum leak, spray the carb cleaner around the suspected area of the leak, such as the base of the carburetor, where it sits on the intake manifold. Sometimes a bad gasket or loose bolts will cause a leak. But the gasket was new and the bolts were correctly torqued down. [caption id="attachment_59481" align="alignleft" width="300"] Post-Yeti fixed intake. [/caption]Still, the engine reacted immediately when that Gumout spritz contacted the area around the base of the carburetor. And so I began to wipe away what I thought was just grime around the base of the intake manifold . . . .
And discovered something loose. On the side of what was supposed to be a solid casting, a single piece of cast iron/steel. The grime wasn't. It was black RTV - Room Temperature Vulcanizing silcone - basically, form-a-gasket in a toothpaste tube, a product used to seal things. Normally, a thin bead of RTV would be spread around the perimeter of a thermostat housing or similar prior to re-installation, to assure a leak-free mating of the parts. It was used for a different purpose here. [caption id="attachment_59482" align="alignleft" width="300"] Sandblasted and coated manifold ends[/caption]Yeti - or whoever he was - had smashed off a chunk of the poor Beetle's intake manifold; about an eighth of the flange - the flat surface the carburetor sits on - was gone and there was a gaping hole on the side of the flange - one upon a time, the EGR port - which had been artfully plugged with an old bolt smeared generously with RTV. To which more was added once the bolt was "installed," the Yeti then carefully shaping the still pliable RTV, like cake frosting, into the former shape of the intake manifold. 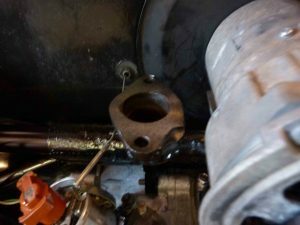 The horrendous vacuum leak was further "fixed" by using the smaller Solex 28 carb, which - now I noticed it - had an offset adapter plate bolted to its bottom. In order establish a seal, sort of, with the damaged intake manifold. And by the ghost of Ferdinand Porsche, it worked. 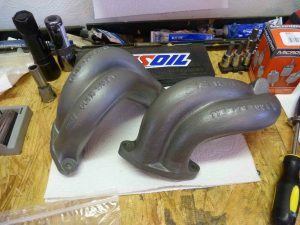 [caption id="attachment_59485" align="alignleft" width="300"] Ye Olde intake manifold boots . . .[/caption]Sort of. The Beetle ran, but was down on power - for obvious reasons. It ran much better with the Solex 34 mounted - except for the problem of not idling, on account of that horrendous vacuum leak due to the Yeti-mauled intake. So we pulled the intake - which on the Bug requires pulling pretty much everything else (alternator/fan, fuel pump and of course, the carburetor) first to get at the thing and then get it off. The manifold has a main center section (the Yeti-smashed one) and two cast aluminum intake sections (which, luckily, his paws were too big to get at and so weren't damaged). As it turned out, the Yeti did my protege a favor by mauling the center section, necessitating its removal in order to weld it back into serviceable condition. One everything was on the floor of the garage, it became quite clear that the rubber boots which connect and seal the intake end sections to the main section were in bad shape; they probably had leaks, too - or soon would. [caption id="attachment_59479" align="alignleft" width="300"] A Beetle heat riser - this one unclogged. [/caption]More seriously, the heat risers were as clogged as Dan Blocker's arteries. These are the tubes which carry exhaust gas to warm the intake plenum - so that the gasoline doesn't freeze on cold days. This is helpful in terms of getting the Beetle to run on cold days. 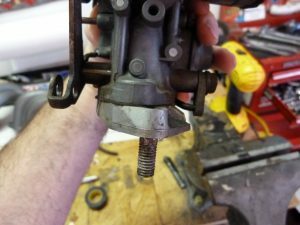 Fixing this problem involved some home engineering; my buddy Tim chocked some flexible wire into a drill and used that to Roto-Rooter the built up rust. That plus a torch and some pressure washing - followed by the welding, sandblasting and coating - and the intake was functionally good as new and looking good, too. Meanwhile, everything else got the once-over. Just in case - and just because. When you have an old car that was once in the hands of a Yeti, this is prudent - and also part of the fun. There is discovery - it never ceases to amaze what people (er, Yetis) are capable of doing; of marveling at their home-engineering prowess. And there is the fun of fixing all that - hopefully the right way, this time! If you like what you've found here, please consider supporting EPautos. 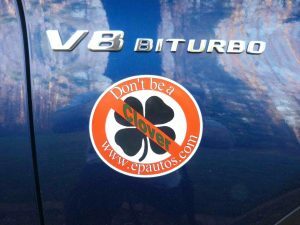 PS: EPautos stickers are free to those who send in $20 or more to support the site. Also, the eBook - free! - is available. Click here. 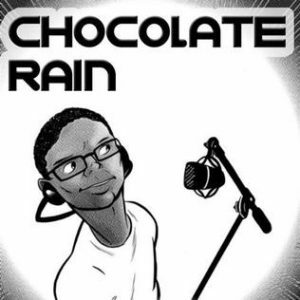 Just enter you email in the box on the top of the main page and we'll email you a copy instantly!